In 2000, Sou and Kastrup joined Chico César ( brazilian singer/composer) in a 3 months tour in Europe and USA. 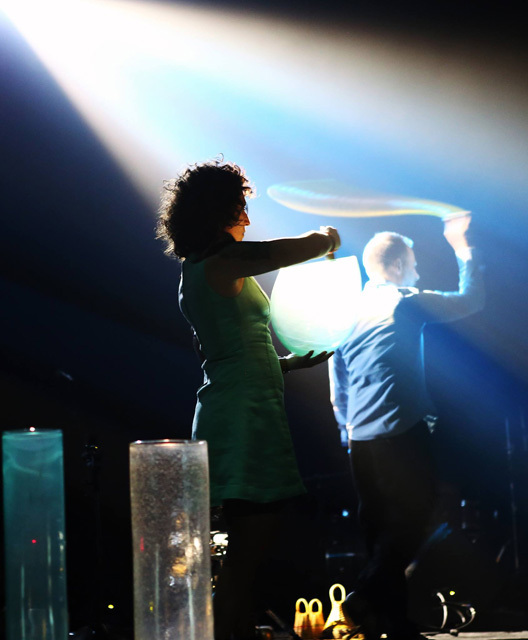 That was the beggining of the Duo. 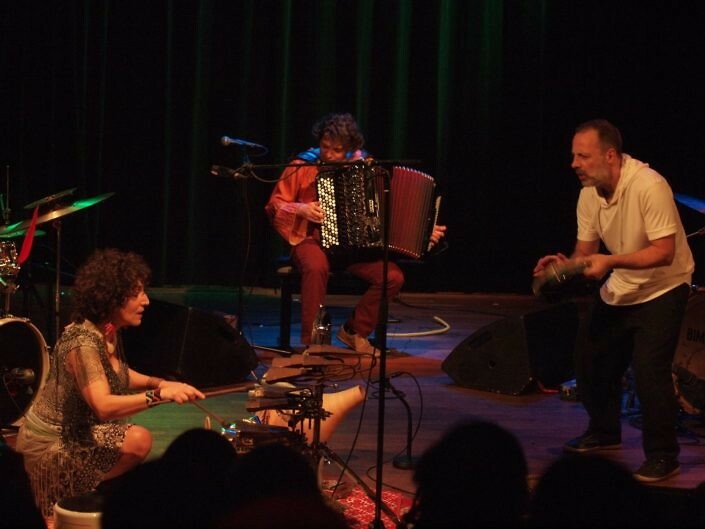 2003 they were invited to perform in a percussion festival in São Paulo, organized by Sesc Instituition – in that moment SOUKAST came out. 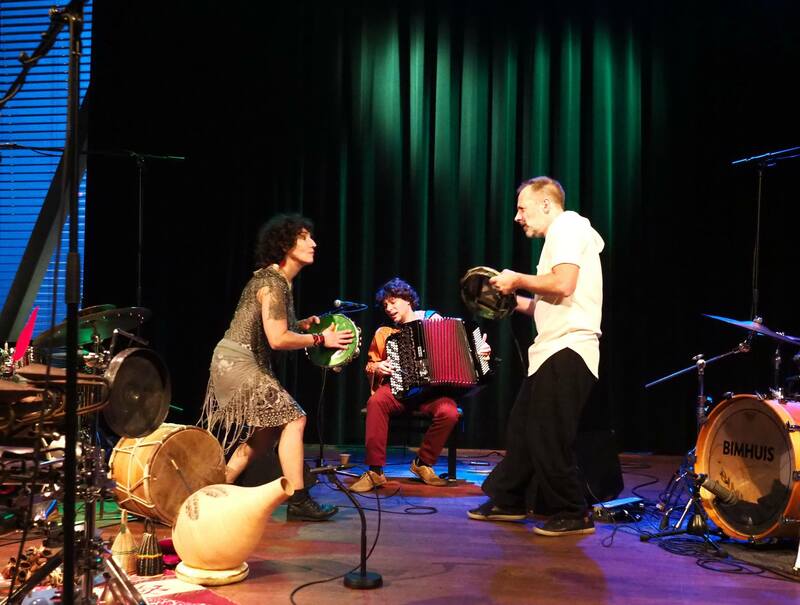 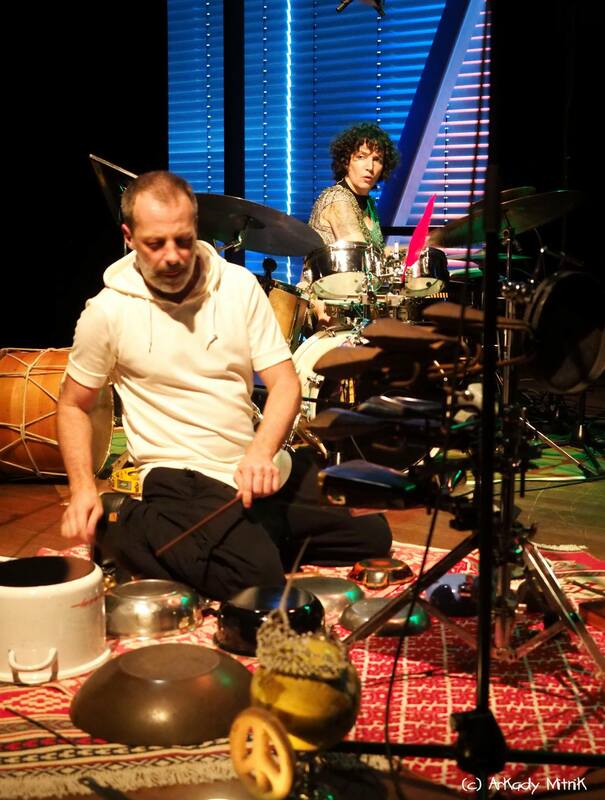 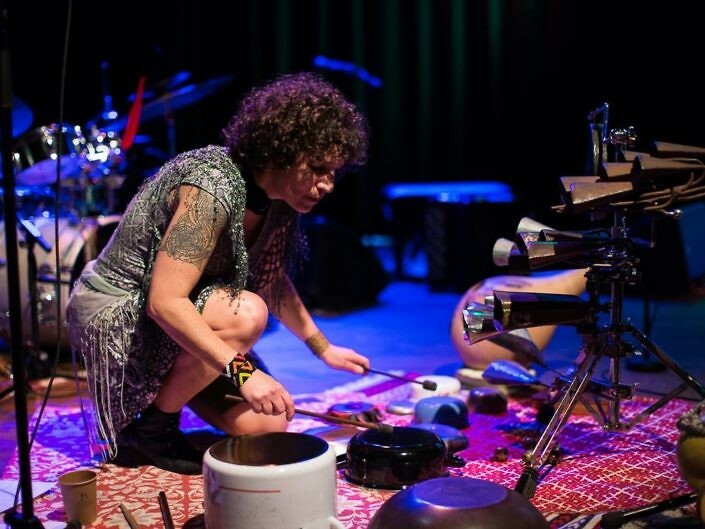 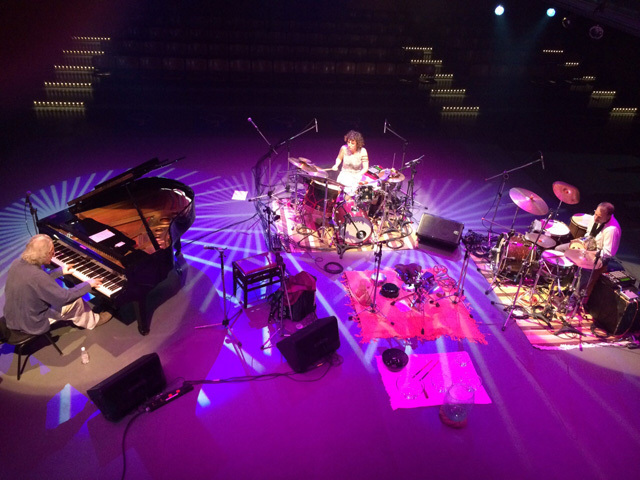 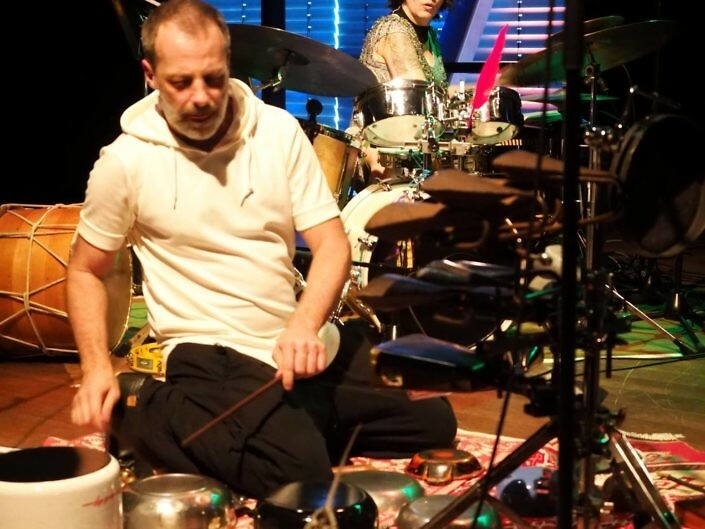 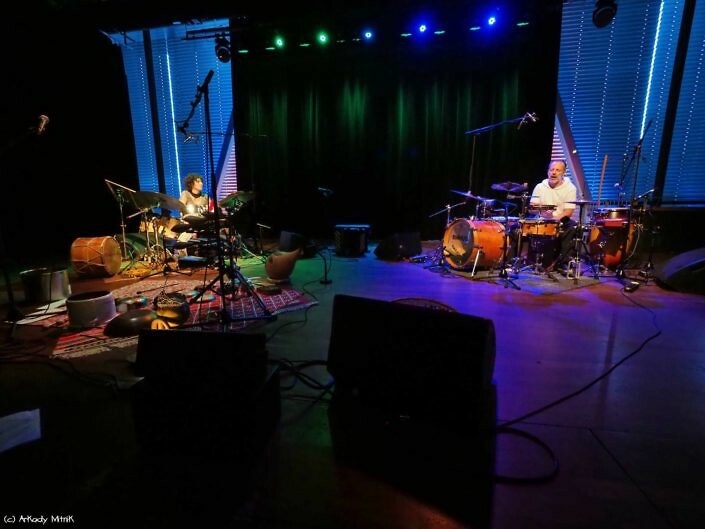 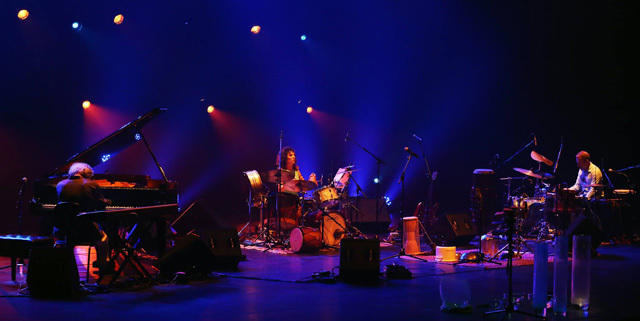 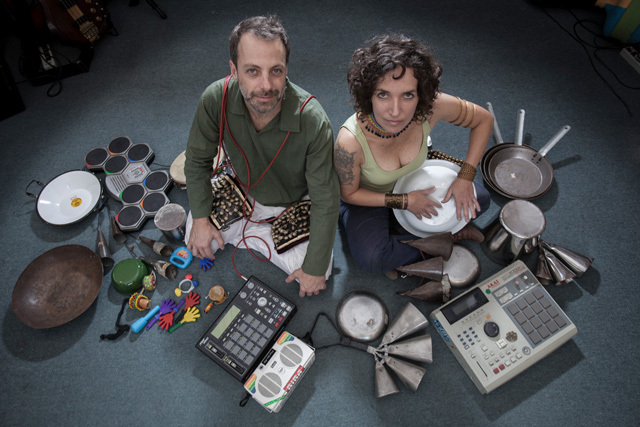 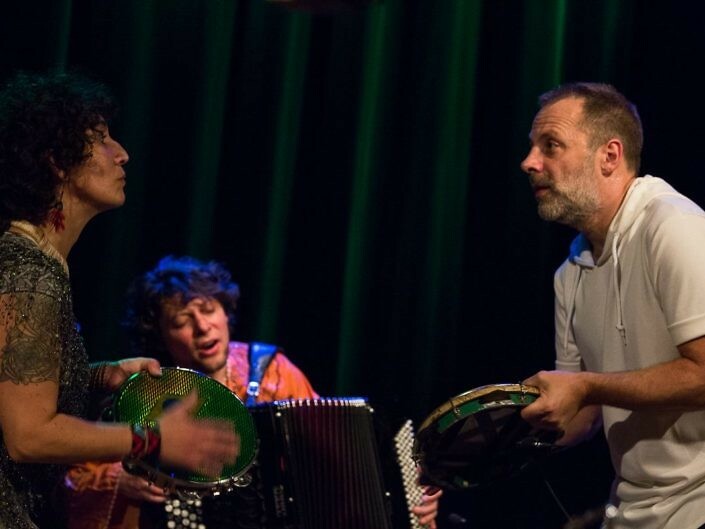 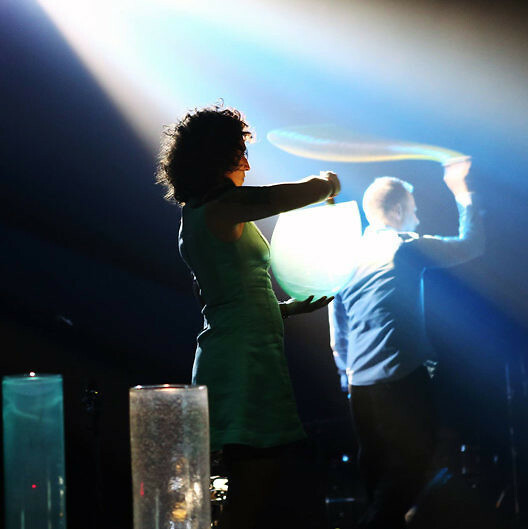 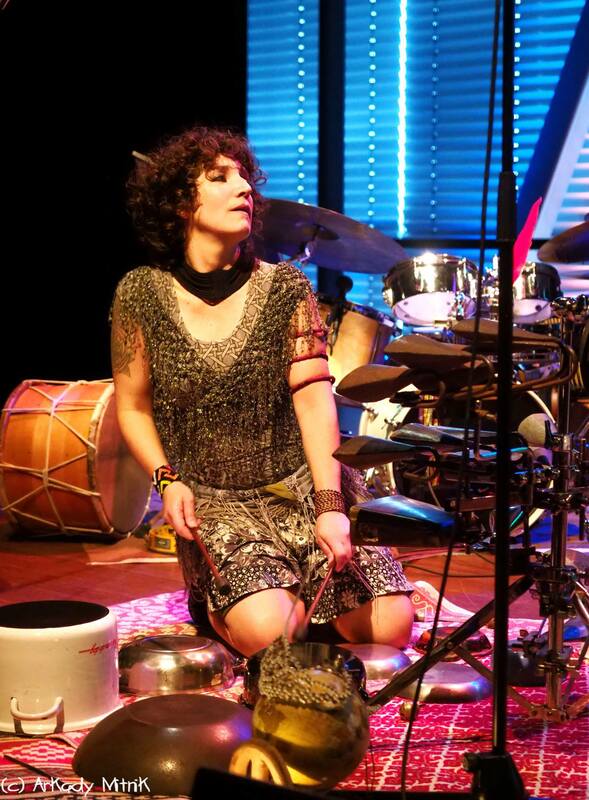 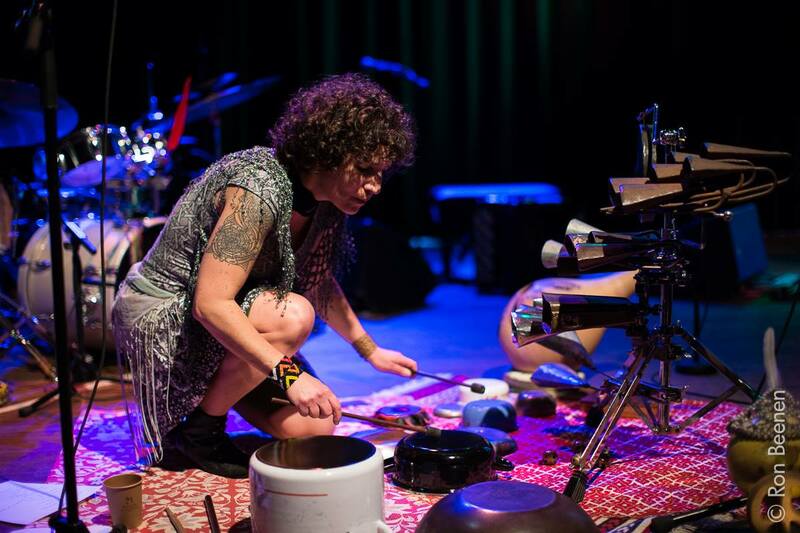 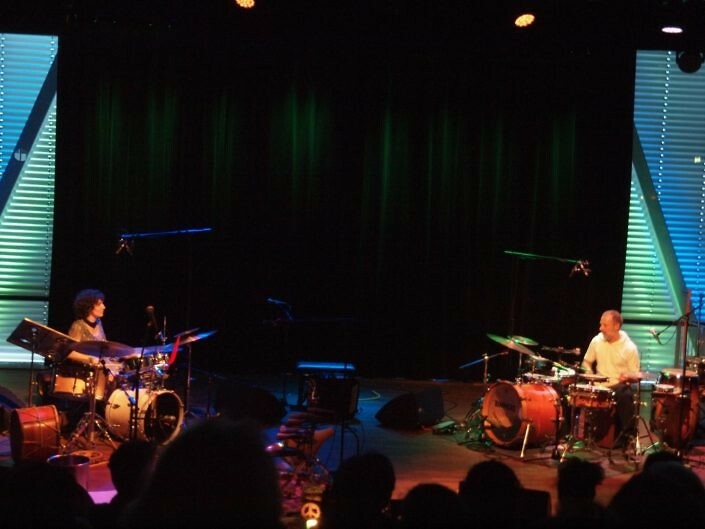 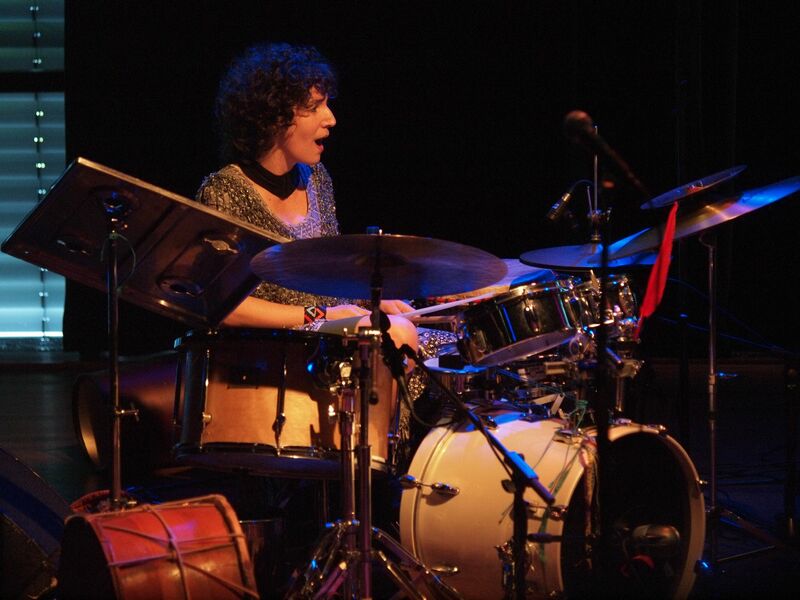 One year later Marcos Suzano invited them for the opening of Percpan Percussion Festival in Rio de Janeiro, so the Duo SOUKAST became a solid partnership. 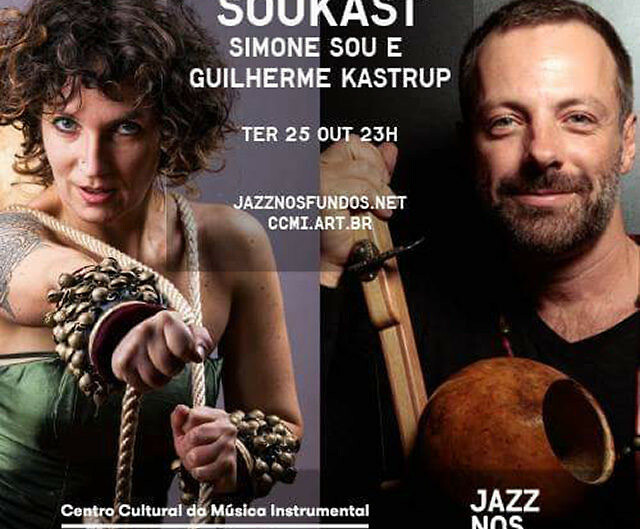 After perfoming a lot in Brasil, in 2009 SOUKAST made a special concert in Womex Denmark, where the Duo impressed the audience with unexpected sounds and beats. 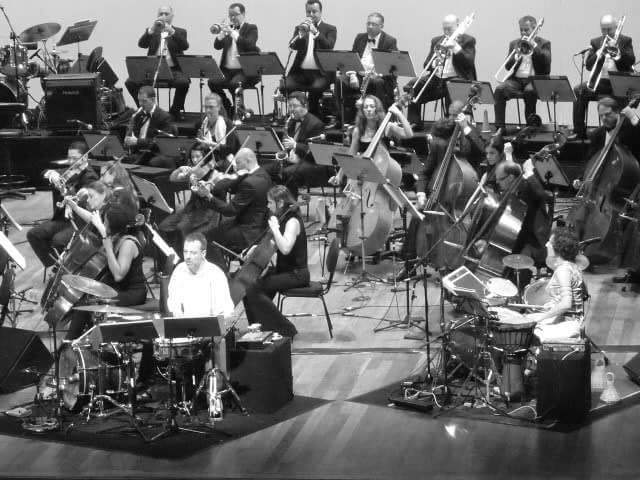 In 2014 the Duo joined the piano player/composer Benjamin Taubkin to record the cd “Sons de Sobrevivência” (Adventure Music label), and performing with Jazz Sinfonica Orquestra in São Paulo and Filarmonic Orquestra in Viena. 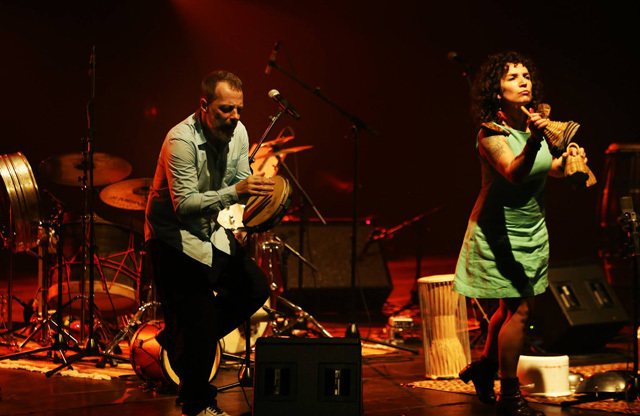 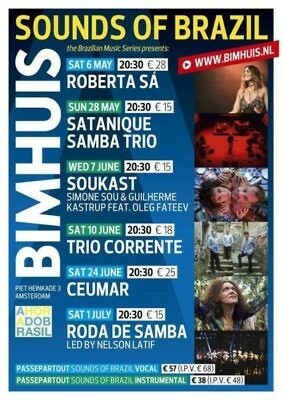 2017 the trio released the CD in São Paulo, and now the Duo SOUKAST comes to Amsterdam to present their “Sounds of Life” in Bimhuis for the first time in Holland. 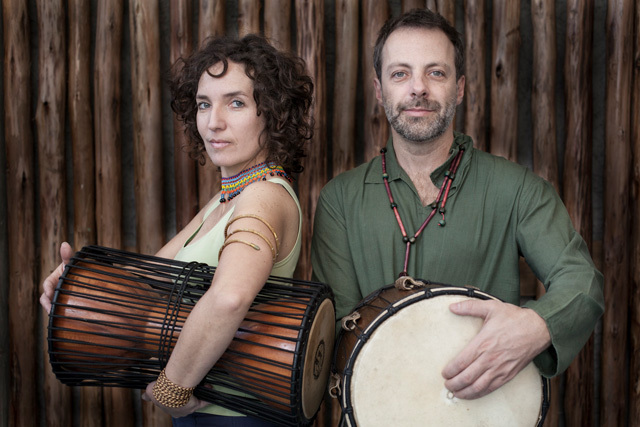 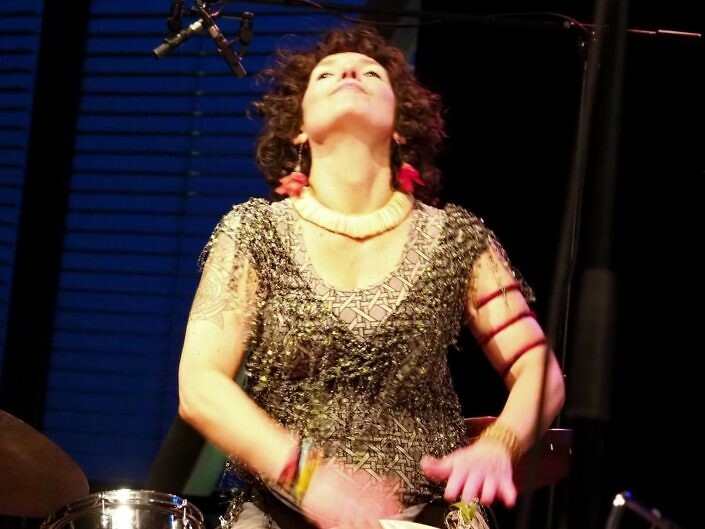 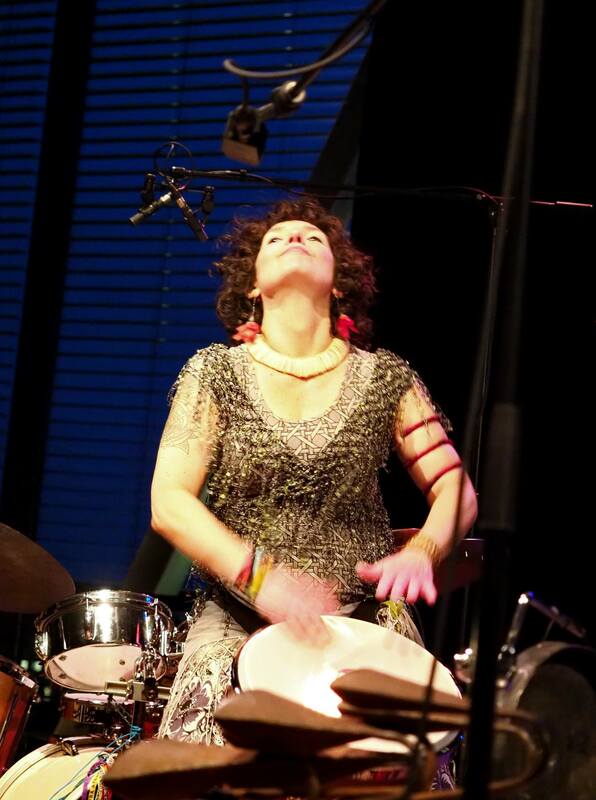 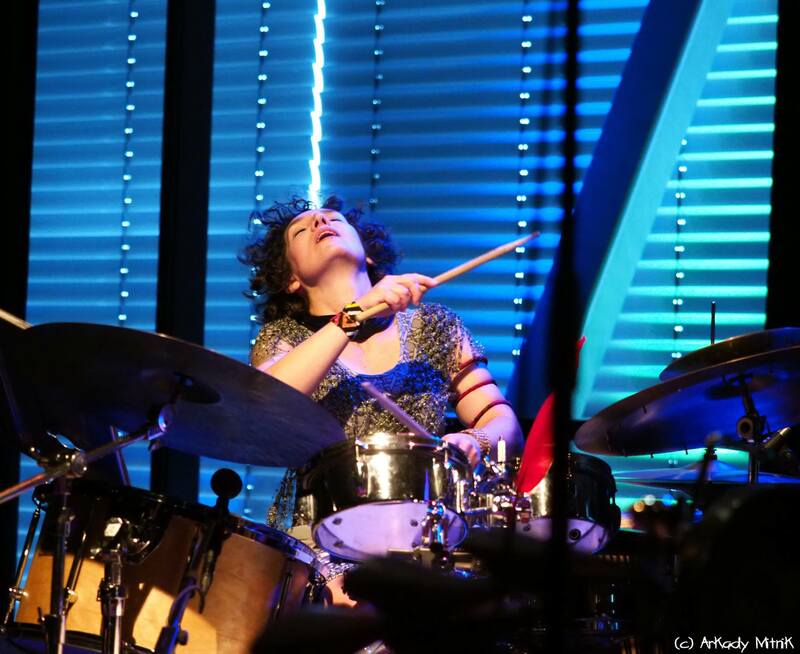 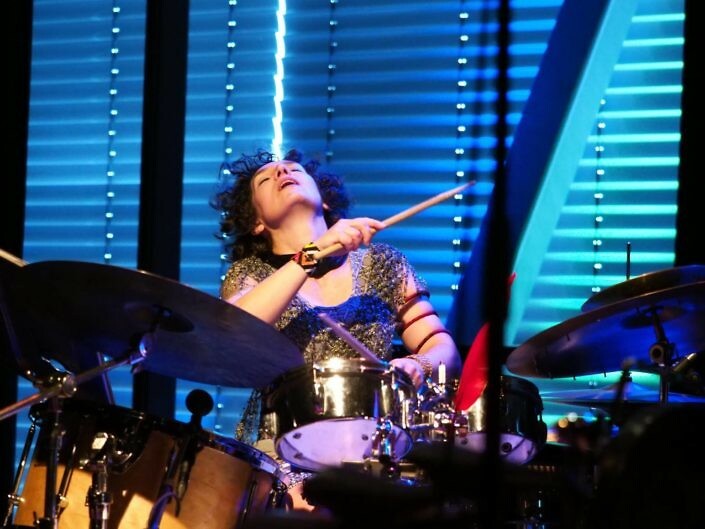 World beats and brazilian traditional rhythms are blended with eletronic grooves and textures, creating a new musical expression coming from drums and percussion . 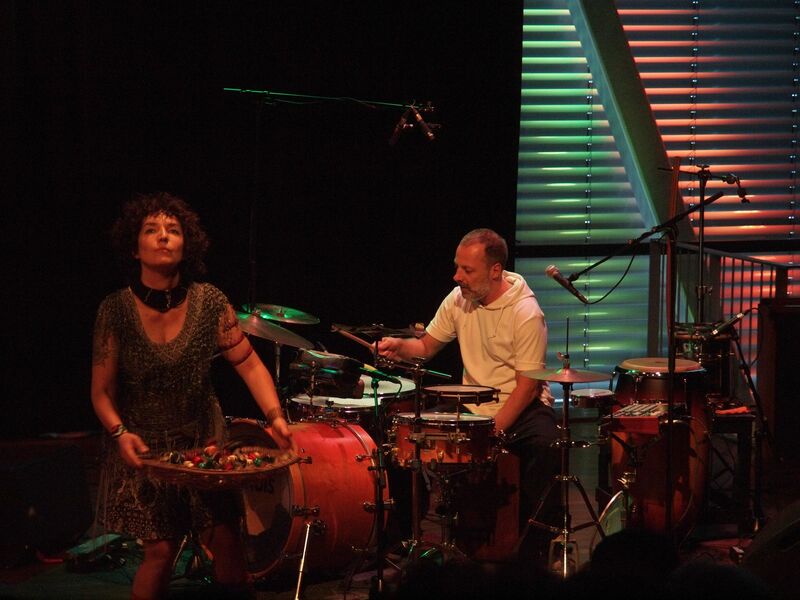 “It is more than just music, it is sound image and rhythmical ritual”. 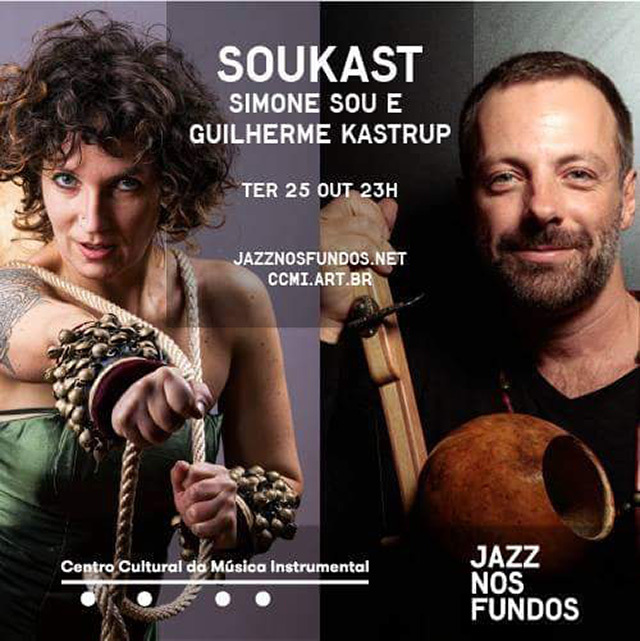 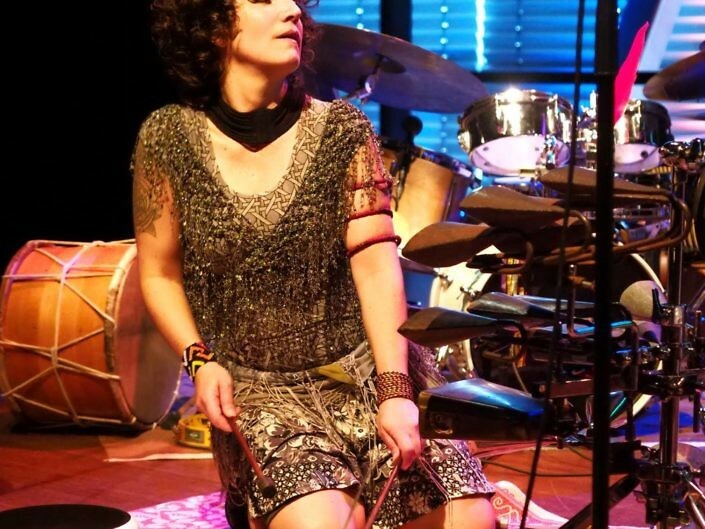 Sou and Kastrup have their own solo projects and lots of colaborations: Sou performs with Chico Cesar, Badi Assad, Oleg Fateev, and Kastrup is the producer of Elza Soares famous album “A mulher do fim do Mundo”. 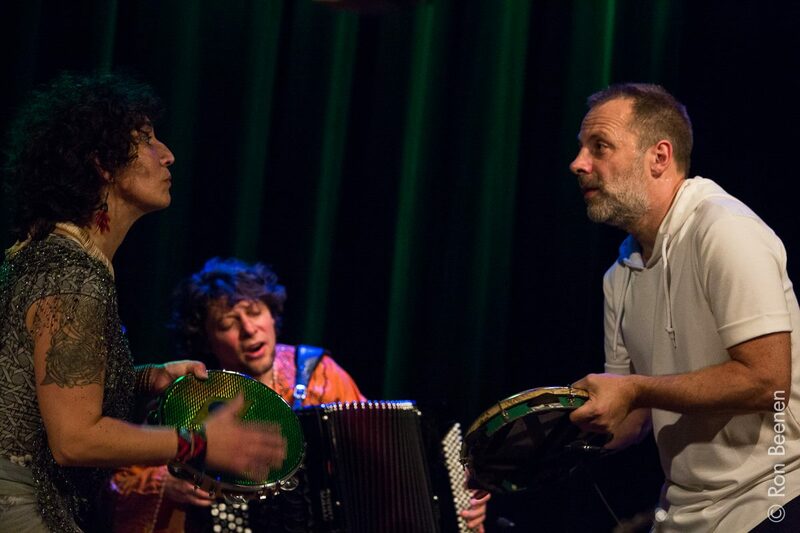 As a special guest for this concert, Sou and Kastrup invited Oleg Fateev – moldavian accordeon player – known in Holland for his virtuous playing and colaborations with dutch artists and theater companies (please have a look in his own BIO), where he will bring the musical contrast combined to the brazilian beats: the harmonies and melodies.